What's eating my broccoli and kale, and what can I do to prevent it? 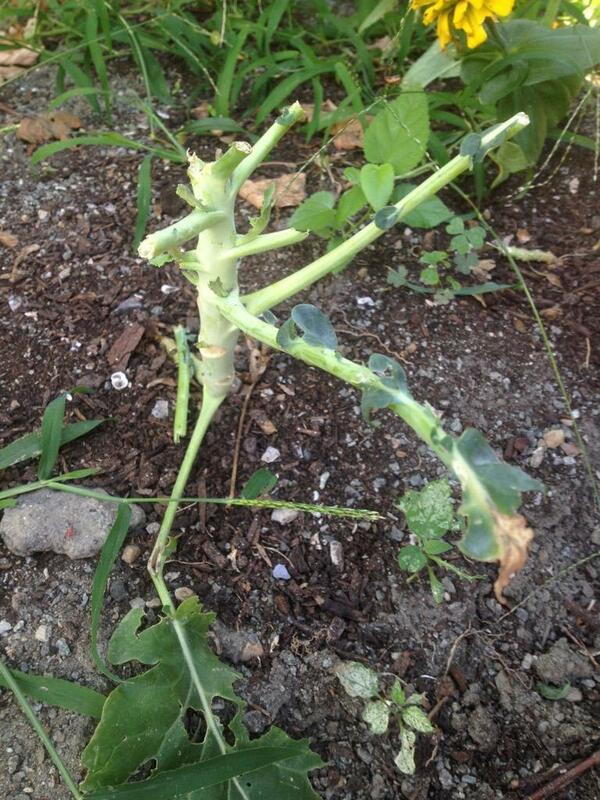 Something has been eating my broccoli and kale plants. I haven't seen anything on it, so I'm not sure what it is. 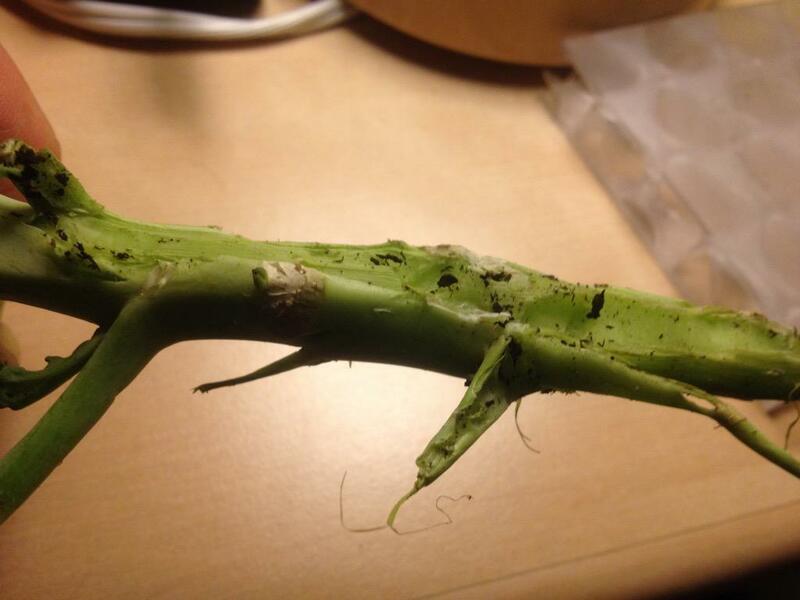 It started eating the leaves and has progressed to eating stems and recently seems to have cut one of the broccoli plants down to the base of the stem just above the soil. Particularly with the kale, sometimes I will see leaves cut off and left on the soil. I had been using bacillus thuringiensis - spraying it weekly and also after rain on the leaves. It seems to have not been very effective, if effective at all. 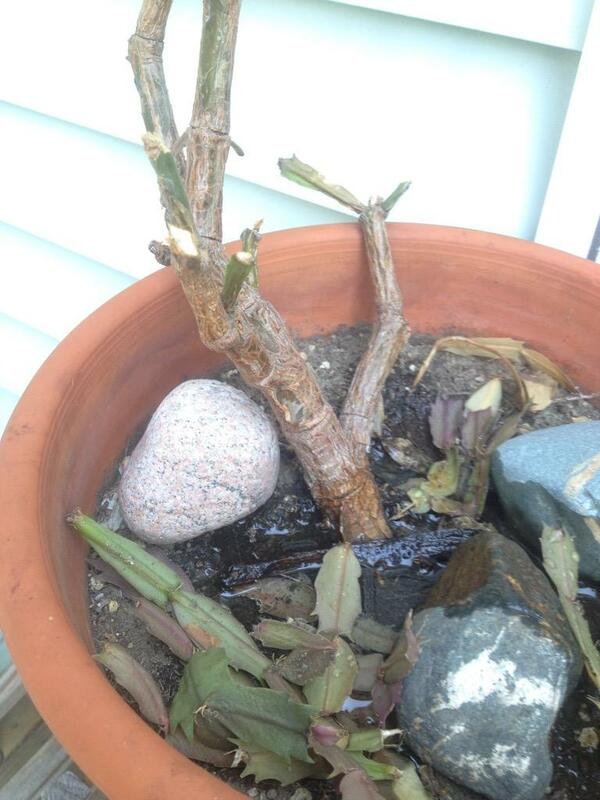 I also noticed similar damage to a christmas cactus that was left nearby the broccoli and kale. We moved it to the deck about 15 feet away, and the same sort of damage still progressed - cutting off the leaves and dropping them in or nearby the pot. I'd prefer a solution that doesn't involve pesticides that can be harmful to humans. Update Here are the only "tracks" (nondescript horizontal streaks) I found after one night. There was not any more plant damage that night. Update 2 I had placed some cut paper towel tubes around the bases of the stems because at one point, I suspected cabbage loopers. 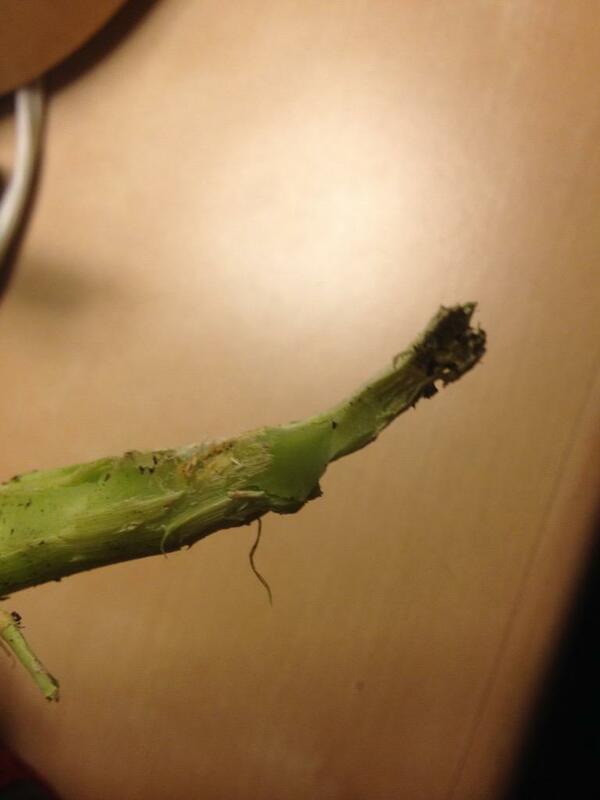 Between 7:30 am and 7:00 pm, something knocked or pulled the tubes off and destroyed another broccoli plant, leaving most of the stem. And it ate a bit more of the kale too. Also, I saw some more tracks. I set up a camera in front of the damaged broccoli stem and a fresh cabbage leaf three times in the day and early evening in the same spot but did not catch anything. 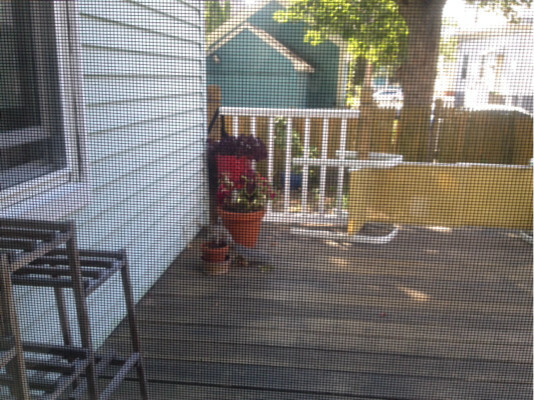 But I just saw a squirrel rooting around on the deck nearby, sniffing and nibbling at some potted plants. I ended up building a cage to enclose the kale plants that remained. Still not sure what the pest was, but the cage seemed to prevent further damage. Ouch! It hurts to see such damage to your garden. I have very similar symptoms except not to the same extent. In my case (in california) I suspect either squirrels or voles/mice. Have not figured out what it is but don't rule out that possibility as well. I also have a net covering it but these guys get under it and eat my kale and other vegetables. In terms of the solution, once you identify whether it is a squirrel or vole or something else you can try the appropriate solution. Try putting a net on the plants to see if it helps. Skunks, perhaps but rabbits almost certainly. Have you seen any track? 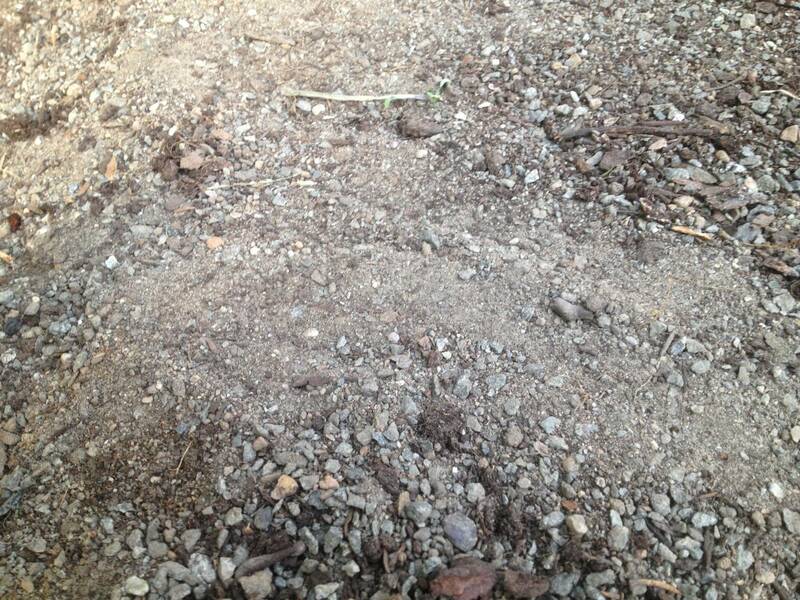 Deer are very obvious as well as any animal's track. This looks like rabbit to me, since I've been feeding rabbits and having to protect everything I don't want eaten. Big semicircular bites. Any other leafy plants getting eaten? That Christmas cactus has been over watered by the way. Go out at night and sit quietly. Throw some salad leavings near these plants and watch. Deer or rabbits are my guess. Have to know what the true bandit is before being able to set up a defense program. 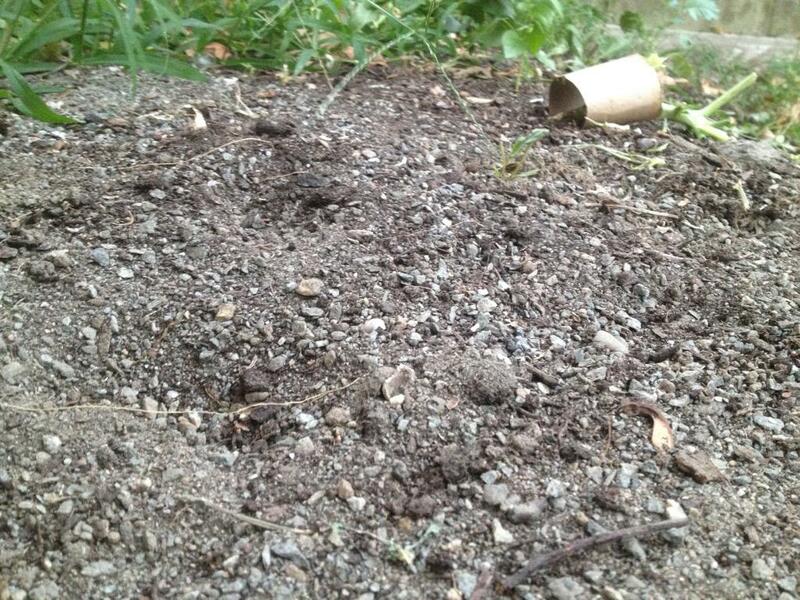 For rabbits the plan is a simple 3' high field wire fence buried a few inches into the soil. For deer, much more complicated. Do you have any motion detector cameras lying around? Grins. Rabbits are wonderful WEEDERS. I had to have a couple of old guys come in with the big weed wacker mowers last year to get the grass down before the grasses went to seed. This year not a blade of grass, or weeds or shrubs (other than bitterbrush) can be found. Squirrels would be my guess, also. If we hadn't seen squirrels rooting around in our radish plot, I would never believe they would go for strong tasting vegies. They made short work of them. Our garden is fenced in, and rabbits and ground hogs can't get in. I just stumbled upon this page and too was curious what is eating your plants. 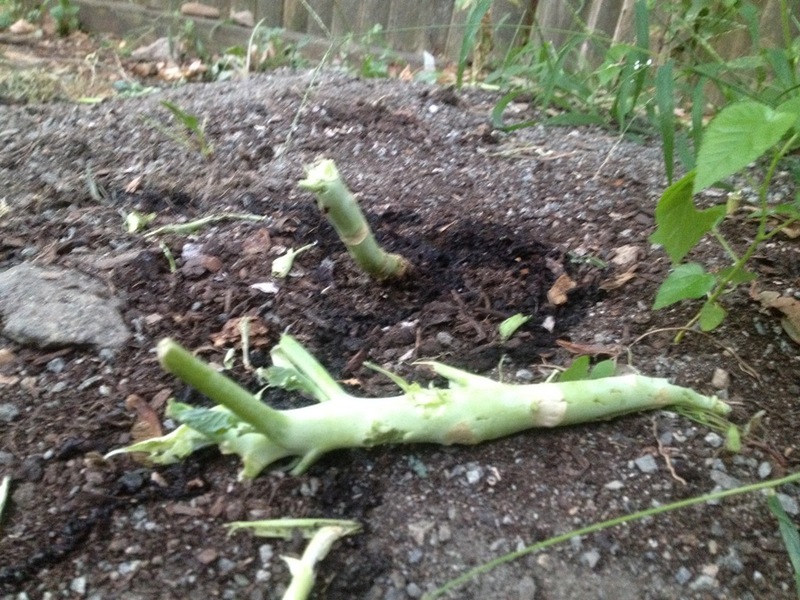 Same thing happened to me two years ago, all of my broccoli, Brussels sprouts, and cauliflower was being eaten right through the base, and sometimes the crown was left on the ground nearby. I never did figure out exactly what it was but after having a few run ins with several porcupines chewing the branches off many of the locust trees in our yard, I did some research and found out that they are quite intelligent, good climbers, and are able to fit under very small holes or gaps in the fence. Also, did I mention that they love the braccias family? They are able to stand on their hind legs and reach up a little higher to chomp at the stalks from ground level as well. 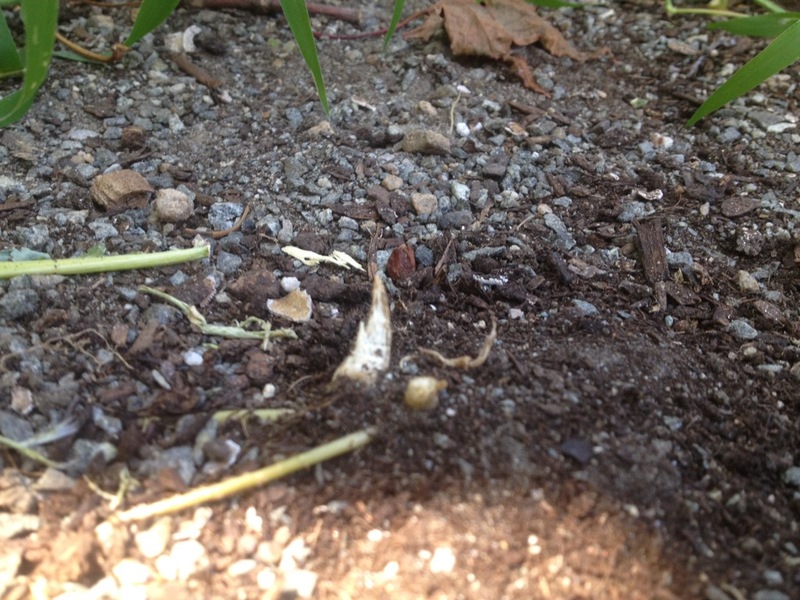 After googling images, there came up quite a few of porcupines ravaging these plants in the garden. Just wanted to share this information. Not the answer you're looking for? Browse other questions tagged vegetables pest-control pests pest-damage or ask your own question. 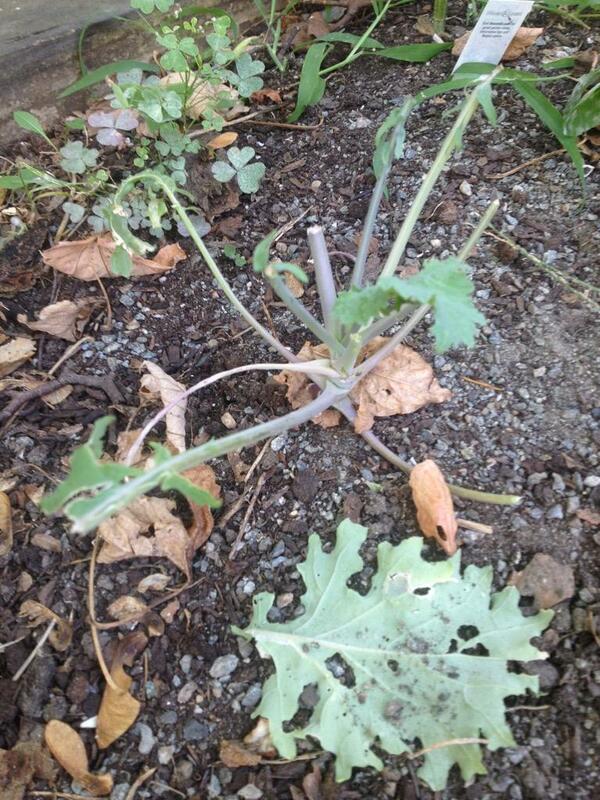 How can I organically prevent green caterpillars from eating up my kale plants? How can I find out what's eating my chilli plants? 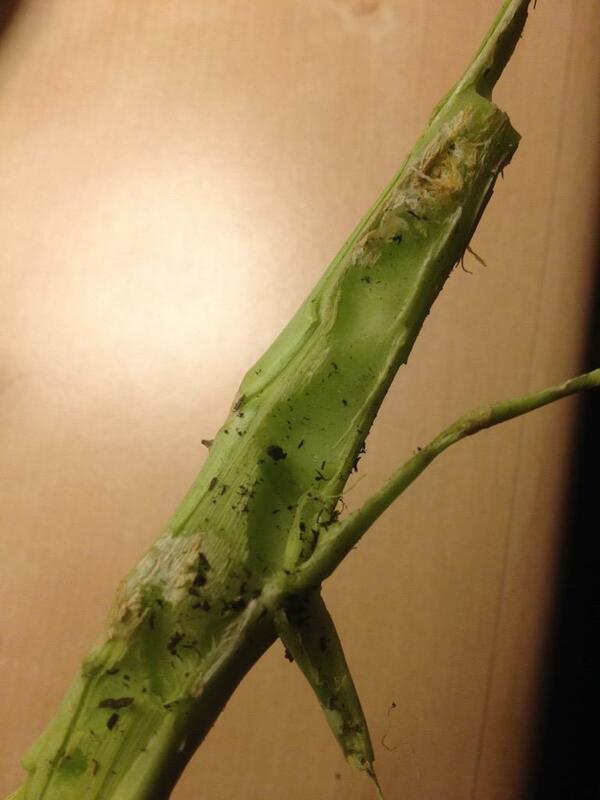 When do cabbage moths lay their eggs? Slugs and snails eating lettuce?